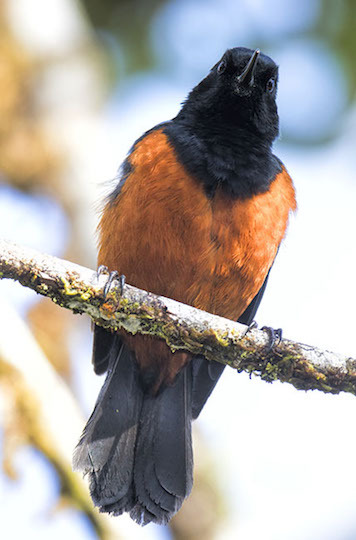 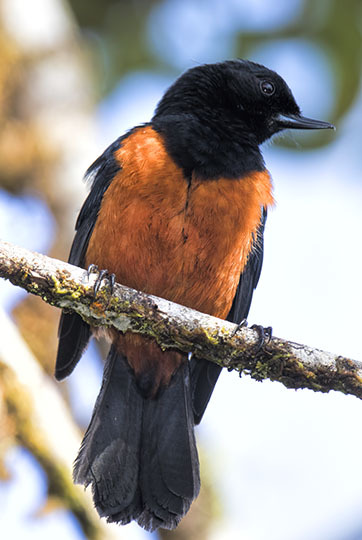 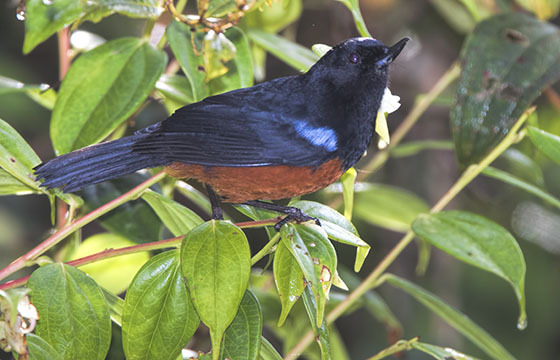 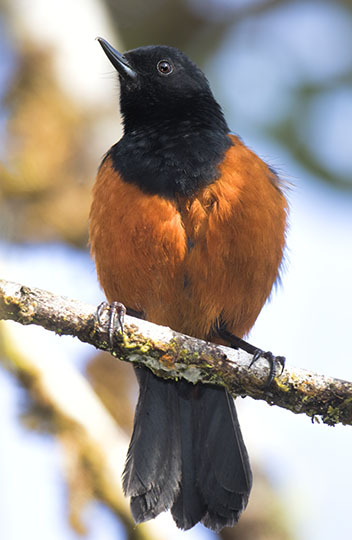 Chestnut-breasted flowerpiercers are endemic to mountains in southwestern Colombia. 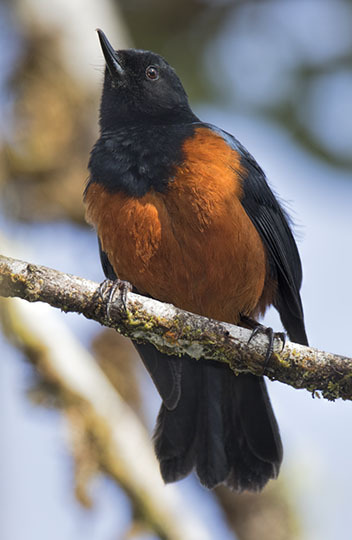 All flowerpiercers are nectar-feeders like hummingbirds but 'cheat' the flowers they visit by piercing the base of the blossom and stealing nectar without transferring pollen. 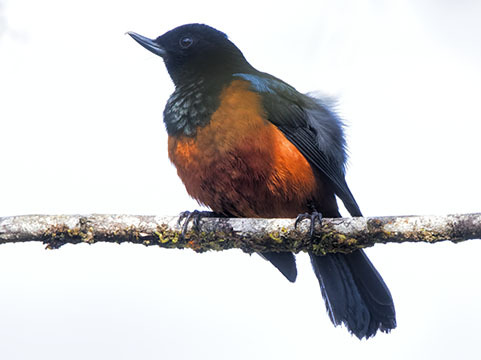 These were photographed at about 3000 m in Tatama National Park.